We're experts in technology marketing.  We are a technology marketing firm, based in Europe, founded by a Silicon Valley bred marketing executive. We understand the marketing challenges technology companies face. We work closely with tech companies to develop the marketing strategy & tactics needed to meet their business objectives. We work together to drive the key values and messaging that your company wants to project to the market and distinguish itself from its competitors. We set objectives and design a US focused marketing strategy to help you accomplish your business goals. Reach new customers in United States. We work closely with you and your team to steadily expand your company's influence and growth in the United States utilizing a balanced approach between digital marketing and traditional marketing channels. A successful product launch or promotion involves many critical steps. We work with you on your go-to-market strategy, from defining target audiences, product positioning and key messages all the way to establishing an annual marketing plan. We establish your business objectives and develop a US-focused PR and media outreach plan to get your company noticed and provide maximum exposure to your brand.